Very friendly atmosphere. Mix of clients. Laid back. The staff were very pleasant & as helpful as could be. Except for the staff in the dining room. Grumpy! This particular hotel is dated. No internet service in the rooms. You need to go out to the common rooms on each floor. Furniture out there very uncomfortable & needs a good cleaning. The beds are outrageous to say the least!!! A cement slab with a very thin mattress. The water was brown. I’m thinking the pipes are rusted & old as the water was fine at another hotel we stayed at. We will never stay at this location again. Muy mala mi ´primer experiencia con Booking, al llegar al lugar que habia reservado no tenian lugar disponible aun cuando les mostre la reservacion por escrito, tambien me dijeron que ellos tienen muchos problemas con las reservaciones de Booking y que no podian hacer nada por ayudarme. Propreté, personnel attentionné et accueillant, sécuritaire et équipements suffisants. La infraestructura del hotel es bastante amplia, los espacios con los que cuenta podrían ofrecer un excelente servicio, es una lástima que no le den mantenimiento. 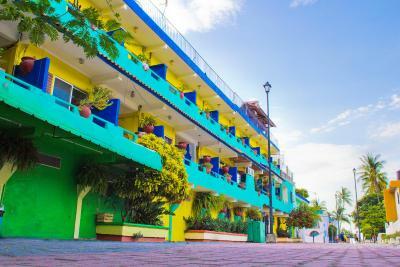 Posada Real This rating is a reflection of how the property compares to the industry standard when it comes to price, facilities and services available. It's based on a self-evaluation by the property. Use this rating to help choose your stay! 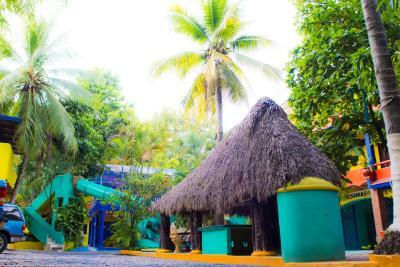 Just 200 feet from the beach in Rincón de Guayabitos, Posada Real offers tropical gardens, an outdoor pool and a hot tub. 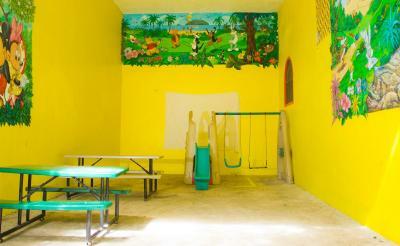 Each air-conditioned room offers cable TV and free Wi-Fi. Rooms at the Posada Real have simple functional décor and tiled floors. Each one includes a double bed, a fan and a private bathroom with a shower. The Camarón Real restaurant serves a varied menu, including local meat dishes and fresh seafood. 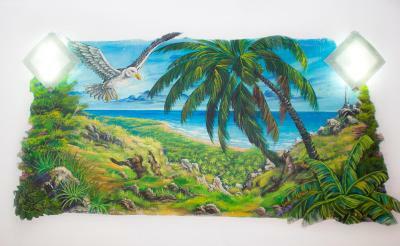 There is also a bar, a terrace with BBQ facilities and a store selling beachwear and regional crafts. 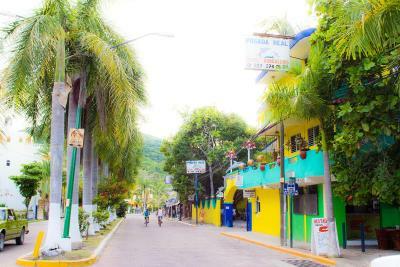 Rincón de Guayabitos is located at the heart of the Nayarit Riviera, a 45-minute drive from Puerto Vallarta International Airport and a 3.5-hour drive from Guadalajara. Free parking is available at the hotel. When would you like to stay at Posada Real? This air-conditioned double room features simple functional décor and tiled floors. 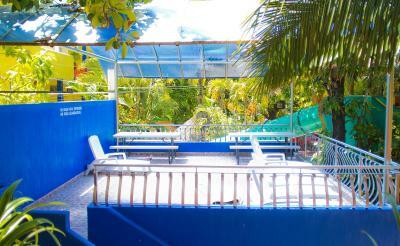 It offers cable TV, free Wi-Fi and a fan, while the private bathroom includes a shower. 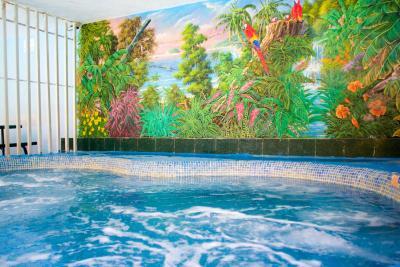 This air-conditioned quadruple room features simple functional décor and tiled floors. It offers cable TV, free Wi-Fi and a fan, while the private bathroom includes a shower. The Studio includes a kitchenette area equipped with kitchenware, dining table, hob and fridge. It also offers air conditioning, cable TV and a private bathroom with shower. This apartment has a fridge, air conditioning and cable TV. The private bathroom has a shower. House Rules Posada Real takes special requests – add in the next step! A deposit via bank transfer is required to secure your reservation. Posada Real will contact you with instructions after booking. The pillows were very uncomfortable - lumpy. The kitchenette was not very well stocked, although staff tried to find us what we needed. Facilities to eat on the balconies under shade. Comfortable beds. Pleasant place. A bit noisy on weekends as the pool is in the centre.